I was once asked to custom design a system incorporating the optimal Tachyon flow for a walk-in, sit-down environment. The goal was to create the most powerful environment that could quicken detox and afterwards expand consciousness. I built the world’s first Tachyon NEO Field Generating Chamber that allowed a live person or two to walk in sit down, and expand in 2005. Since then, I have developed three configurations that work best. I have built most of the systems on the backs of far infrared systems, although a few have been larger. 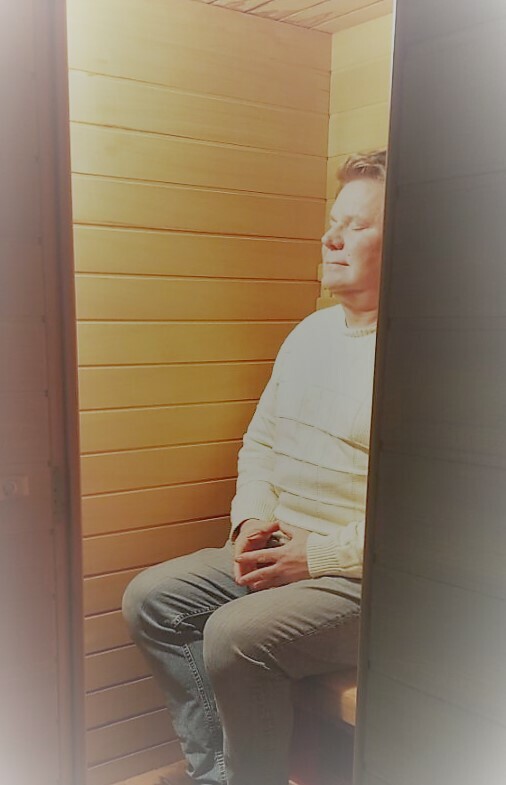 Using the highest quality sauna allows for a multi-dimensional system. The far infrared system with F.I.R. emitter technology, provides a perfect, affordable platform to employ Tachyonized Disk Panels helping open the human system to even deeper levels of synergy. I will write about the benefits of far-infrared below. From the onset, I enjoyed the challenge found incorporating the best Tachyonized tools into a universal system of healing. What I discovered was befuddling at the time. The best configurations had directional disks flowing upward from the feet, and downward from the top (see video below). This provided two opposing Tachyon energy flows creating an incredibly sweet central space within the sauna. In 2005, the unprecedented effects of this bouncing of Tachyons off each other helped to precipitate the discovery of the now well-known NEO Field (see video). The output of so many disks created a central sweet space that has been clearly stunning everyone who has had the opportunity to use it. It has been reported that the system is predictably detoxifying, balancing, and healing, with an undertone of spiritual expansion. Simply sitting inside the field of one of these amazing systems can quickly became addictive. I have enjoyed the flow of creatively modifying each new build of a custom Tachyon system for our beloved Tachyon insider’s groups, mostly therapist and healers. But as for the public, I never felt the technology, nor the timing, was right to offer such a powerful tool. Detox alone is misunderstood by so many. Now with 27 years of Tachyon experience and the clarity that detox and a healing crisis, when it does happen, is a godsend, I found myself with little reservation. So when an old Tachyon customer asked if I would design him and his wife the next world class Tachyon system, something shifted. Now the world, the technology and my desire merged as the stars aligned and the Tachyon Wellness Room evolved into the new Tachyon NEO Field Generating Chamber ready for global education and distribution. The First Public Offering is Finished! Now for the healthy person, the Tachyon Wellness Systems were nicknamed the Tachyon Consciousness Expansion rooms, and for good reasons! There seems to be no limit to our potential.